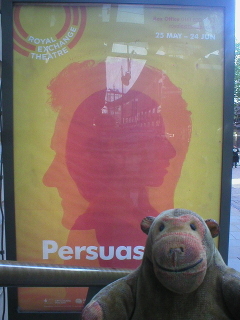 Mr Monkey caught a bus into Manchester, then scampered along to the Royal Exchange Theatre for the press night of Persuasion. Persuasion was the last novel completed by Jane Austen and was published six months after she died in 1817. 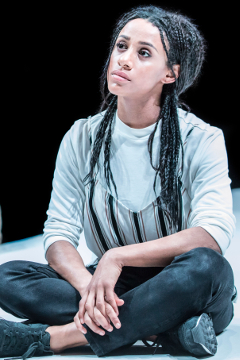 For this production the book has been adapted by Jeff James with James Yeatman. The play is set in late 1814, after Napoleon I has abdicated and been sent to Elba. The officers and sailors of the Royal Navy are returning to England, some of them very wealthy from the prize money awarded by the Admiralty. The Eliots of Kellynch Hall are running out of money, and decide to make one last visit to Bath to find rich husbands for the daughters Elizabeth and Anne (though Anne is in her late twenties and so almost unmarriageable). Anne is still regretting not marrying Captain Frederick Wentworth before he set out to sea, and she is somewhat disconcerted to find out that he is one of the richer returning officers, and that he's rather upset about his proposal being rejected. Wentworth's opinion of Anne changes after a visit to Lyme, during which one of her nieces is injured in an accident and there are discussions about the nature of love and marriage. Anne eventually joins the rest of the family in Bath (much against her will - she doesn't like the gossip) where she is suddenly and crudely wooed by Mr Eliot (not her father, but her father's heir from a different branch of the family) and has to decide between him and Captain Wentworth. Everything ends satisfactorily, once people start talking to each other. The stage is a deceptively simple raised white platform or catwalk, with a number of speakers and spotlights arranged around it on a floor in a mildly unpleasant shade of yellow. At the beginning of the play there's an actor lying face down; by the end of the first act the platform/catwalk is more complicated and messy. Mr Monkey was glad he spent part of the interval watching the stage being cleared up ready for the second act. 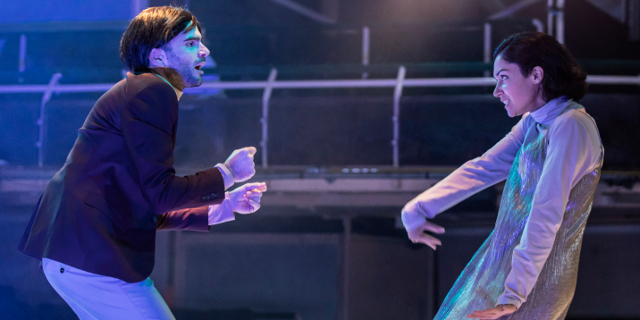 This production is by no means the traditional costume drama, and the soundtrack reflects this, being made up of tracks by popular beat combos that Mr Monkey quite possibly has never heard of. The costumes are modern, with what Mr Monkey thought was a slightly steampunky feel (only without the cogwheels) for some of the younger female characters. This version of Persuasion strips the book down to its essentials, focusing on Anne and Wentworth's story and emphasising the parts of the early 19th century story that are relevant to the 21st century. Some of the modern trappings reduce the drama a little - Louisa's accident at Lyme on a bubble slide instead of a fall from a seawall - but the whole production worked really well for Mr Monkey once he got over the lack of Georgian costumes. As far as he could tell, all the dialogue is from the book. The cast were excellent, as usual. Mr Monkey particularly liked Lara Rossi as Anne Elliot and Samuel Edward-Cook as Captain Wentworth. He was also impressed by the double act of Cassie Layton and Caroline Mooney as Elizabeth Eliot and Mrs Clay, and Louisa and Henrietta Musgrave. Mr Monkey really enjoyed this production of Persuasion and recommends it to anyone who wants to see a pared down and modernised Jane Austen which is still true to the original. Persuasion runs until 24th June 2107.